Meet the fierce little brother of Kettle- Fireside. While Kettle satisfies comfort food cravings of mall-goers at the Shangrila Plaza Mall, Fireside satiates hungry shoppers at the Mega Fashion Hall of SM Megamall. And what could be more comforting than Fireside's best-selling Buttermilk Fried Chicken Fingers (P489). 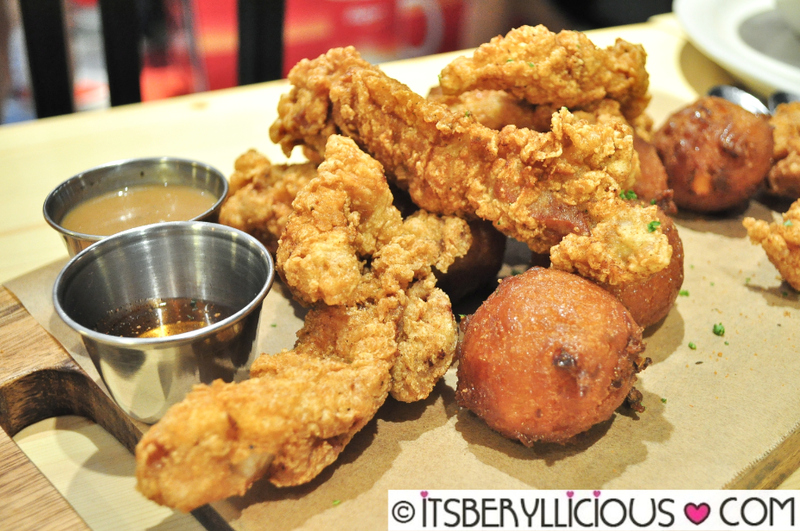 An order of crispy and juicy chicken tenders, reminiscent of Kettle's Buttermilk Fried Chicken, comes with cornbread doughnut balls and their signature gravy-honey dip pairing. A must-try at Fireside! 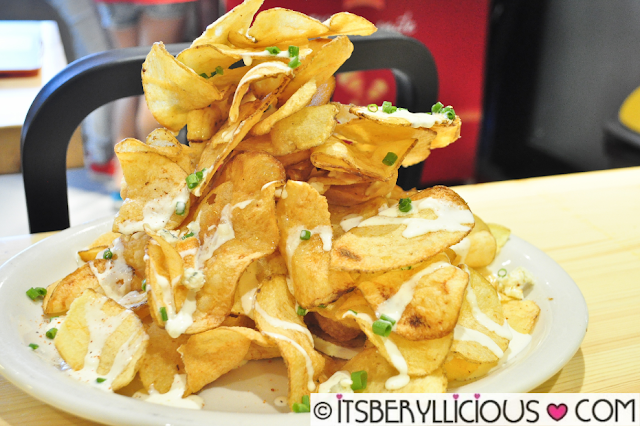 Fireside's Truffled Potato Chips (P199) reminds me of the towering Pork and Potato Strips from Kettle, but this time, in a heaping of thin and crispy potato slices drizzled with truffle oil and bleu cheese dressing. 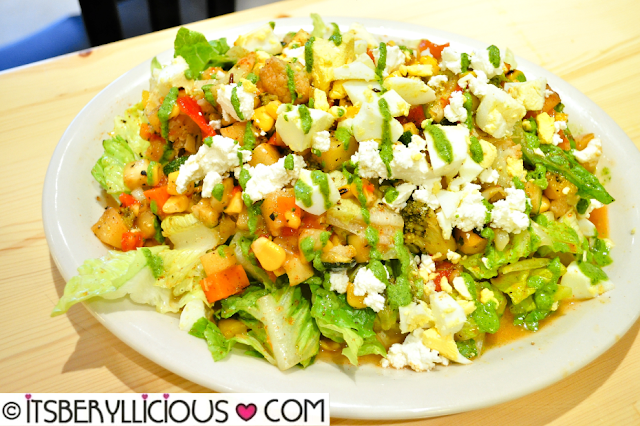 The Grilled Chop House Salad (Bowl P189, Platter P389) is a mouthwatering platter of greens, zucchini, broccoli, cauliflower, kale, pineapple, bell peppers, pineapple, egg, feta and roasted chicken breast in a honey lemon dressing. All the healthy and delicious stuff tossed in one dish. How can one say no to these Sweet, Spicy, and Salty Wings (3 pcs. P249, 5 pcs. P409). 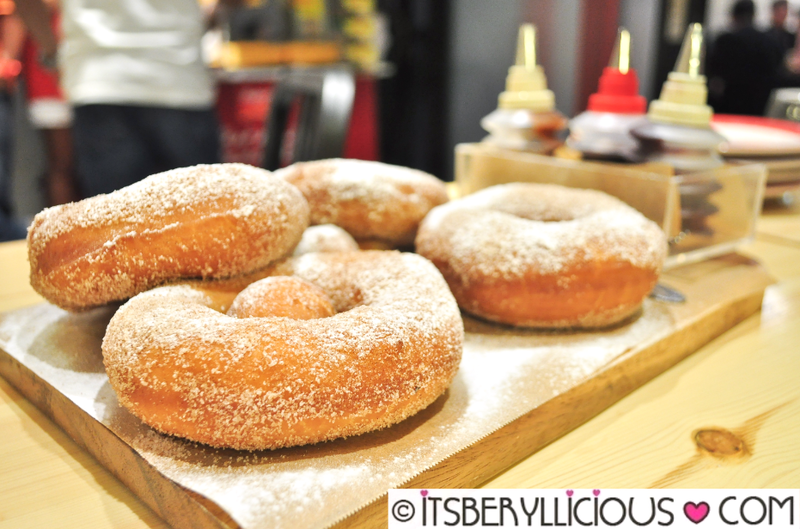 Its name alone can leave you drooling with excitement. 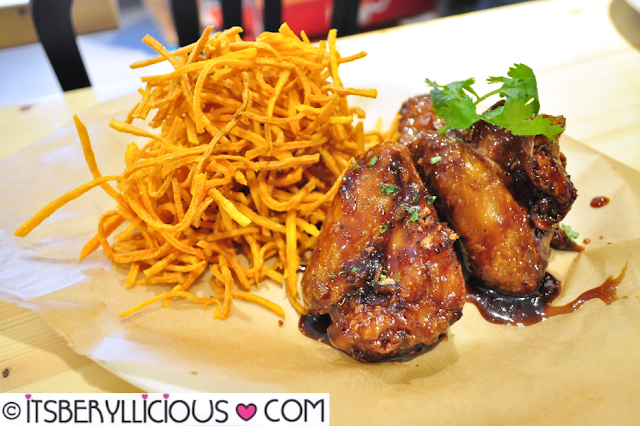 The wings may not be ideal in size, but the taste definitely makes up for that "small" matter. Heads up, the sweet potato hay can also be very addicting! 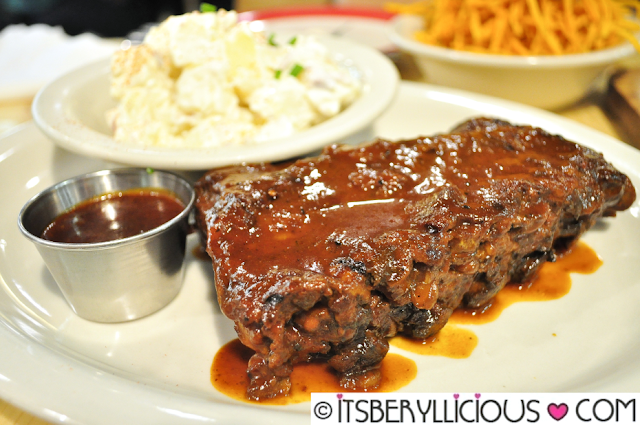 Apricot-Chipotle Glazed Ribs (P889)- a full rack of slow roasted baby back ribs smothered in a sweet, tangy and hickory barbecue sauce. Being a fan of anything with barbecue sauce, I ate this with gusto and delight. The ribs were fall-off-the-bone tender and moist, with an extra cup of barbecue sauce on the side. 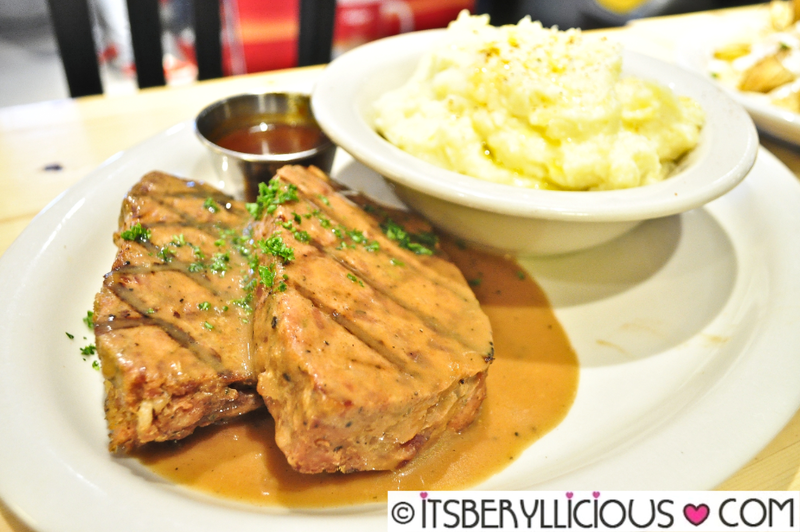 I'm no fan of meatloaves but Fireside's 50/50 Meatloaf (P389) is undeniably a brilliant combination of every carnivore's favorite- bacon and angus beef. How can you not be a fan? 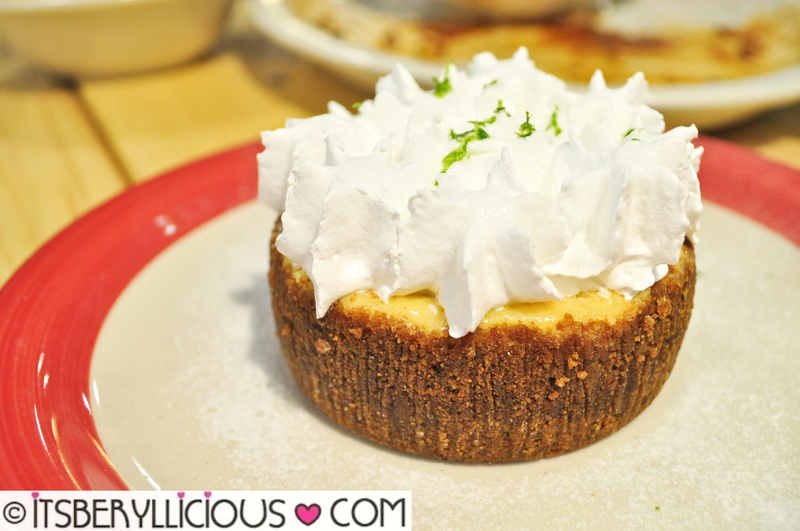 I'm not too keen on doughnuts so let me recommend Fireside's Key Lime Pie instead. I really enjoyed this dessert during our first visit.. Will probably have this again on our next visit to Fireside.